The WVU IS3PACE conducted an information security poster initiative in collaboration with selected WVU graphic design students who were tasked with designing innovative information security themed posters. 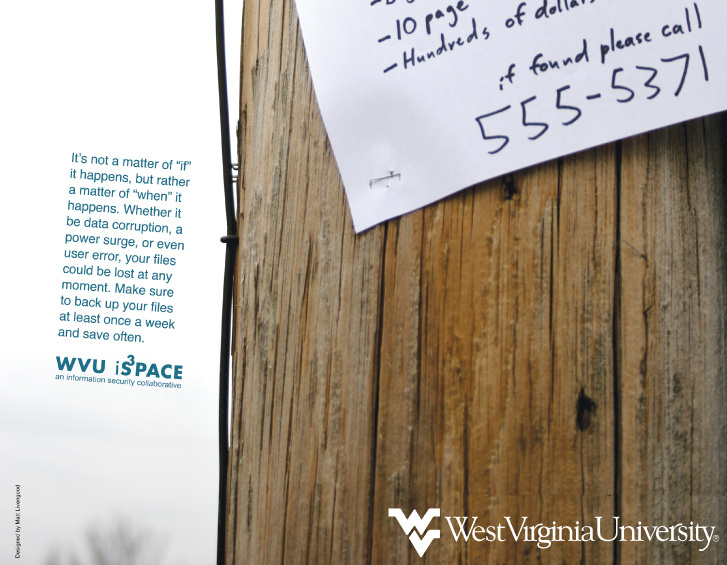 The project lasted the duration of the Spring 2006 semester, where eleven posters were approved by the WVU IS3PACE committee and are now available on WVU’s Information Security page. My subject for my poster design was data loss. When you lose data that hasn’t been back up properly, it’s a really helpless situation. I wanted to get this idea across in my design, but in a way that would ring true immediately with the audience. 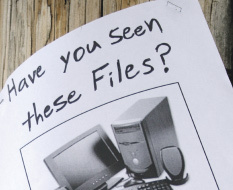 I used the idea of a student poster signs on telephone poles asking “Have you seen these files?”, as if it were a lost pet that could be found. Since these were designed to be placed around WVU’s campus, I listed files on the sign that would be important to a college student. I then added small paragraph to drive the message home. 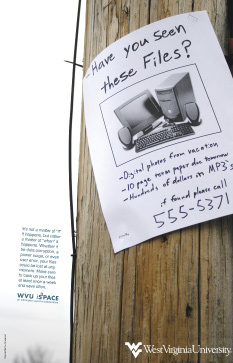 This design received an award of excellence in the 2007 ACM SIGUCCS Communication Awards in the category “Student Created Promotional Materials”.